The last half-year or so has seen the concept of variable refresh desktop monitors advance rather quickly. After sitting on the technology backburner for a number of years, the issue came to the forefront of the PC graphics industry late last year when NVIDIA announced G-Sync, the first such desktop implementation (and unfortunately proprietary implementation) of the concept. 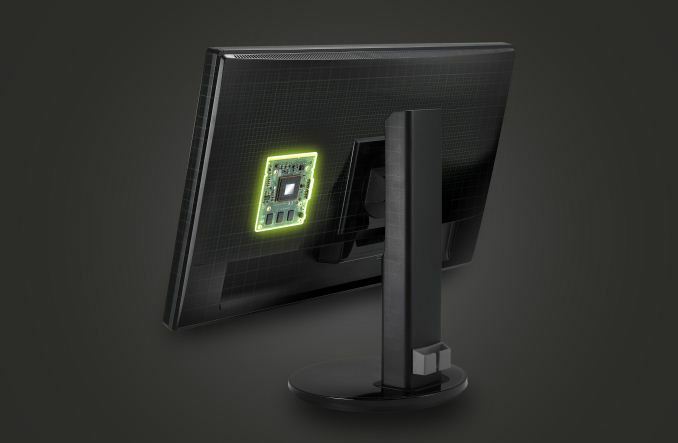 AMD in turn fired back at NVIDIA at CES this year, demonstrating their FreeSync concept, which could implement variable refresh through features found in the embedded DisplayPort (eDP) standard. Since then the technology has been in something of a holding pattern – NVIDIA and their partners are still prepping retail G-Sync monitors, meanwhile AMD and the VESA have needed to bridge the specification gap between eDP and DisplayPort. To that end, the VESA sends word today that they have done just that with the latest update to the DisplayPort 1.2a standard. Adaptive-Sync (not to be confused with NVIDIA’s Adaptive V-Sync), the eDP feature that allows for variable refresh monitors, has been added to the DisplayPort 1.2a standard as an optional feature. We’ve been expecting this addition since AMD first announced their FreeSync concept, however until now it wasn’t clear whether Adaptive-Sync would first be added to DisplayPort 1.2a or rolled into the forthcoming DisplayPort 1.3 standard, so we’re glad to see that it’s the former rather than the latter. With the standard now having been settled, this frees up GPU manufacturers and display manufacturers to move forward on implementing it in hardware and drivers. The good news is that the underlying technology is fairly old – eDP was ratified in 2009 – so while we’re not accustomed to seeing Adaptive-Sync on desktop hardware, there are GPU and display/controller manufacturers who have experience with the technology. That said, since this feature isn’t present in today’s display controllers there’s still a need to iterate on the hardware and its firmware, even if it’s just making small modifications to existing designs (this being the advantage of doing a DP 1.2a extension). AMD for their part sent over a notice that they’re already working with display manufacturers to get the technology into future monitors, with their estimate being 6-12 months for Adaptive-Sync capable displays to hit the market. There’s no real precedent for this kind of change, so it’s hard to say just what a realistic number within that window is; but historically vendors have been slow to update their hardware for new DisplayPort standards, and NVIDIA’s own efforts have still taken many months even with NVIDIA’s extra muscle and close relationship. With that in mind we suspect 12 months is more realistic than 6, though we’d be happy to be wrong. Meanwhile the VESA for their part is touting the full range of benefits for Adapative-Sync. This includes both the gaming angle that NVIDIA and AMD have recently been pushing and the power savings angle that drove the creation of Adaptive-Sync and eDP in the first place. Admittedly the power gains are miniscule and generally unimportant for a desktop scenario, but they are there. Outside of gaming what’s more interesting is the ability to apply Adaptive-Sync to video playback, allowing for the elimination of the judder that’s common when playing back 24fps/25fps content on today’s 60Hz displays. Along with the addition of Adaptive-Sync to the DisplayPort standard, the VESA will also be putting together a new (yet to be revealed) logo for the technology. Since Adaptive-Sync is an optional feature not every DisplayPort device will support it, so those devices that do support it will sport a logo to visibility indicate their compliance. The logo will go hand-in-hand with the VESA’s forthcoming Adaptive-Sync compliance test, so manufacturers will need to pass the test before they’re able to use the logo. Moving on, coinciding with today’s announcement from the VESA AMD sent along their own release on the subject. In it, AMD notes that they’re immediately preparing for Adaptive-Sync, though they will be continuing to promote it under the FreeSync brand. AMD is telling us that as of this point most of their GCN 1.1 products will support Adaptive-Sync, including the desktop Radeon 290 and 260 series, along with most of AMD’s current APUs: Beema/Mullins, Kaveri (AMD had mistakenly omitted this from their list), and even the GCN 1.0 Kabini/Temesh. Meanwhile AMD has not yet commented on whether their GCN 1.0 video cards will support Adaptive-Sync, so the outcome of that remains to be seen. 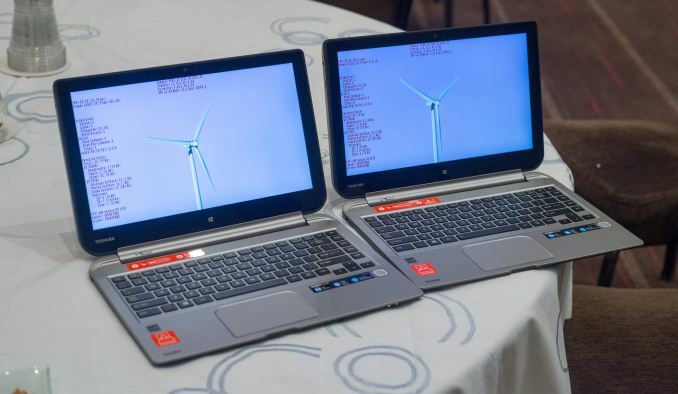 But for all of the supported products the underlying hardware is already Adaptive-Sync capable, so it’s just a matter of AMD rolling out support for it in their drivers. AMD’s release also contains an interesting note on supported refresh rates: “Potential ranges include 36-240Hz, 21-144Hz, 17-120Hz and 9-60Hz.” While the upper-bounds of those ranges are in-line with numbers we’ve seen before, the sub-30Hz refresh rates on the other hand are unexpected. As you might recall from our look at G-Sync, even though LCD monitors don’t suffer from anything quite like phosphor decay as CRT monitors do, there is still a need to periodically refresh an LCD to keep the pixels from drifting. As a result G-Sync has a minimum refresh rate of 30Hz, whereas AMD is explicitly promising lower refresh rates. Since the pixel drift issue is an underlying issue with the LCD technology there is presumably something in Adaptive-Sync to compensate for this – the display is likely initiating a self-refresh – though at the end of the day the variable refresh rate means that you can always set the refresh rate to a multiple of the targeted refresh rate and get the same results. Finally, we also had a brief chat with NVIDIA about whether they would support Adaptive-Sync on current generation hardware. NVIDIA tells us that they can’t comment at this time since there aren’t any Adaptive-Sync displays available. It’s entirely possible this is just NVIDIA being coy, however like all device vendors they do have to pass the VESA’s compliance tests. So if nothing else NVIDIA’s “no comment” is technically correct: until they pass that test they are limited in what they can say about being Adaptive-Sync compliant. 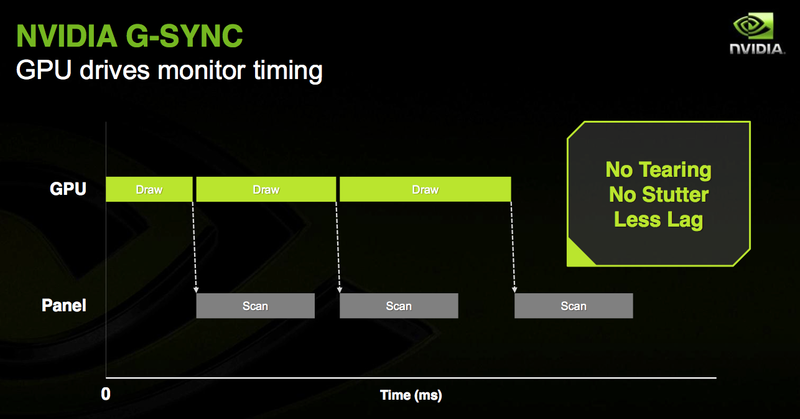 Though while we’re on the subject, this also brings up the matter of NVIDIA’s competing G-Sync technology. Because of NVIDIA’s head-start on the variable refresh concept with G-Sync, for the next year or so they will continue to be the only vendor with retail support for variable refresh. The modified Asus monitors have been available for a few months now, and the retail G-Sync monitors are still due this quarter the last we heard from NVIDIA. So until Adaptive-Sync monitors hit the market G-Sync is the only option. Ultimately it remains to be seen what will become of G-Sync – NVIDIA seems to be in this for the long haul as part of their broader ecosystem plans – and there is the matter of whether the technical differences between Adaptive-Sync and G-Sync result in meaningful performance differences between the two technologies. With that said, even if NVIDIA keeps G-Sync around we would hope to see them support Adaptive-Sync just as well as AMD. According to the previous AMD FreeSync demo, any display that currently supports Variable VBLANK (like those eDP Toshiba laptops) would be compatible when using AMD GPUs and APUs. I'm guessing there are likely some displays in the wild right now that would support A-Sync in spirit, but not in name.